thoughts & happenings: The town. 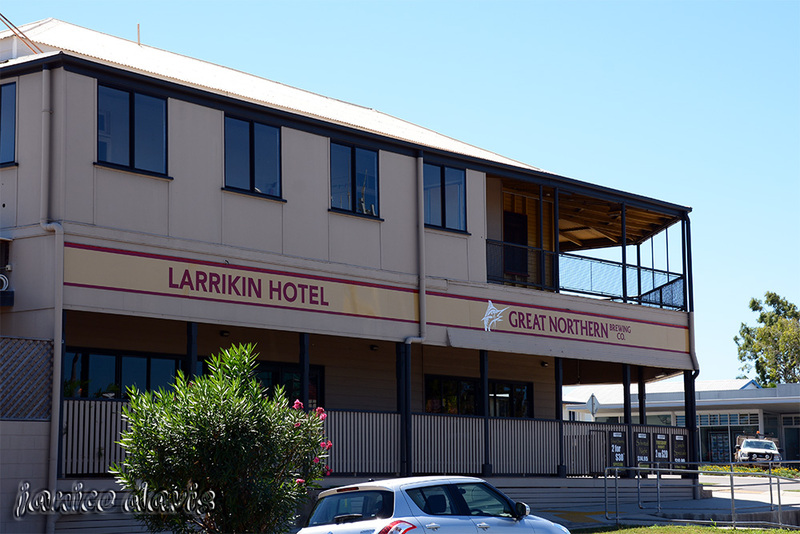 The Larrikin Hotel in Bowen, Queensland. Was looking for some history on this hotel, couldn't find any but I believe the meals are good there. 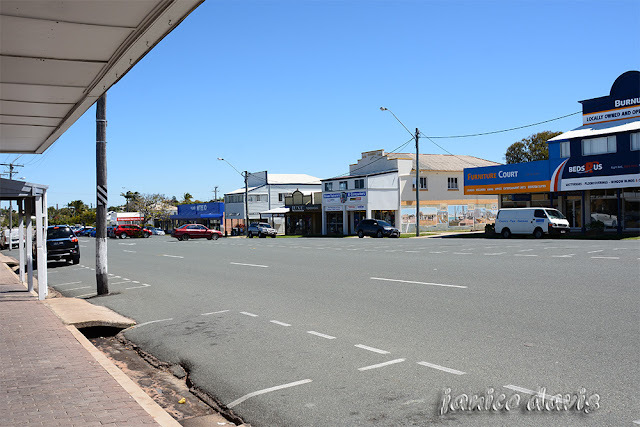 One of the streets of Bowen. 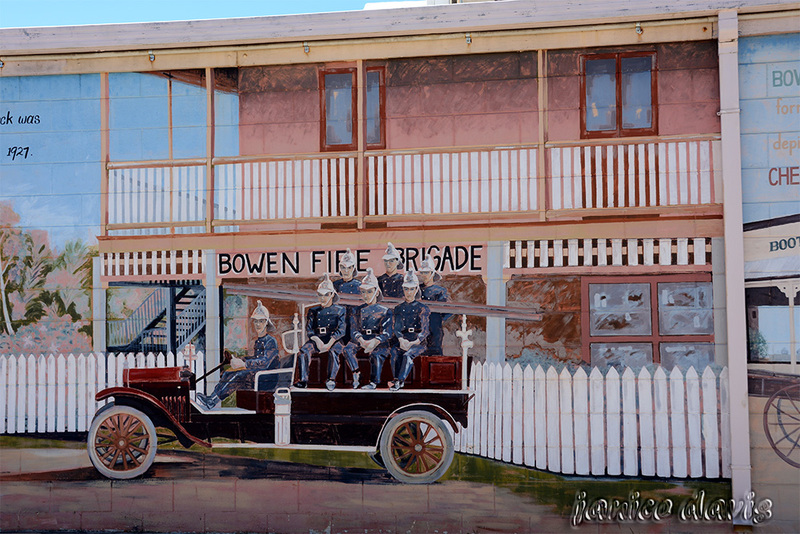 A couple of murals in the town of Bowen, there are many. Murals in Bowen, there are many. A really wide street, and low houses, a different small town like ours. Very lovely and interesting to see. And I love a lot these murals. Many houses in Australia are only one story with one family living in them, especially in the towns that are not cities, and even then there is one house to a couple. Very good the murals, which adorn the walls. They are good, been there for a good while too. It's a great name for a hotel. It may not be very old. Typical name for a Larrikin. Don't know when it was built, tried to find out but didn't. They are all lovely, too many to put in one post. Always good to see wide streets, so many places have too narrower ones. 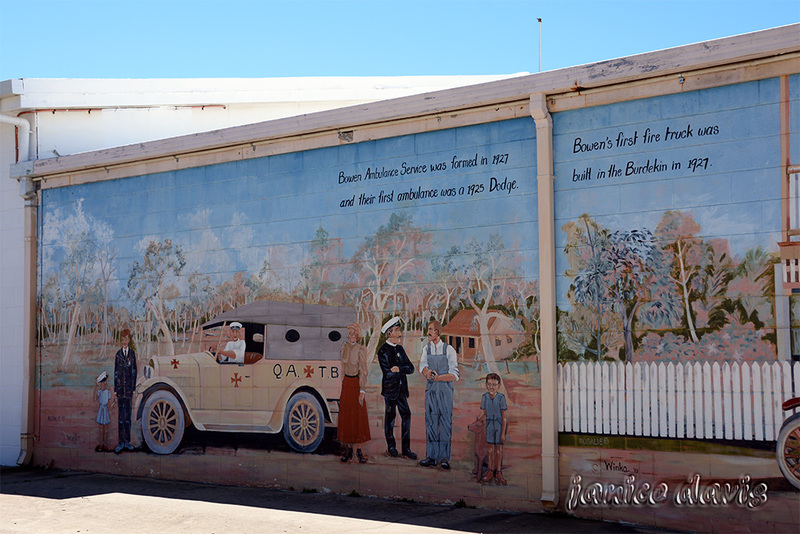 It is a lovely idea to have historical murals scattered around the town. Certainly let's travellers know how the town used to be Rosemary. I've noticed in some of your posts that many towns have very wide streets--- I think that lends a "frontier" feeling to places. Murals were nicely caught, Margaret. Yes many of them do have very wide streets - have no idea why they were the people that made them were ordered to do so way back. The murals are beautiful.. I'm also traveling through your photos.. I'm loving it.. Pleased you are liking my photos. Now I want to go to Bowen just so I can stay at the Larrikin Hotel! It's got that unique older Australian country pub look to it and I want to sit out on that balcony. I'll have to start saving my pennies. The murals are very well done. We haven't been to the pub but I'm told the meals are good. I love the wide streets in Bowen...and their deep gutters. They are wide, great big gutters for the rainy season and that's one thing we always notice when travelling north the gutters get deeper. Great name for a hotel. It is a good name :) I bet many a larrikin has been there and will continue to patronize. They all are well done Sussi. There are plenty of them there. I love the murals Margaret. Nice shots. Funny to see the paints on the wall of the old cars. Fantastic. Hello Marco...the murals are all around the town...they tell some of the history of that town..